I LOVE the light and colors of this pic. The poem makes me wonder, do jellyfish ever sleep? this is me, like every night. 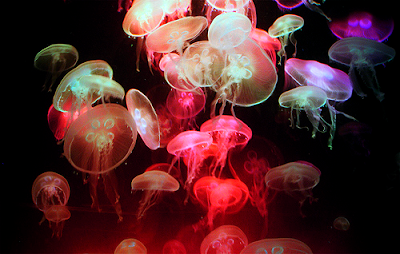 i become a phosphorescent jellyfish.